My husband and I love jaunting away on mini getaways. They are a way for us to refresh, reset and reconnect. Let’s face it, everyone is busy, almost too busy to take time out for ourselves. It is important for couples to getaway from the hustle and bustle of life to relax and enjoy each others company. 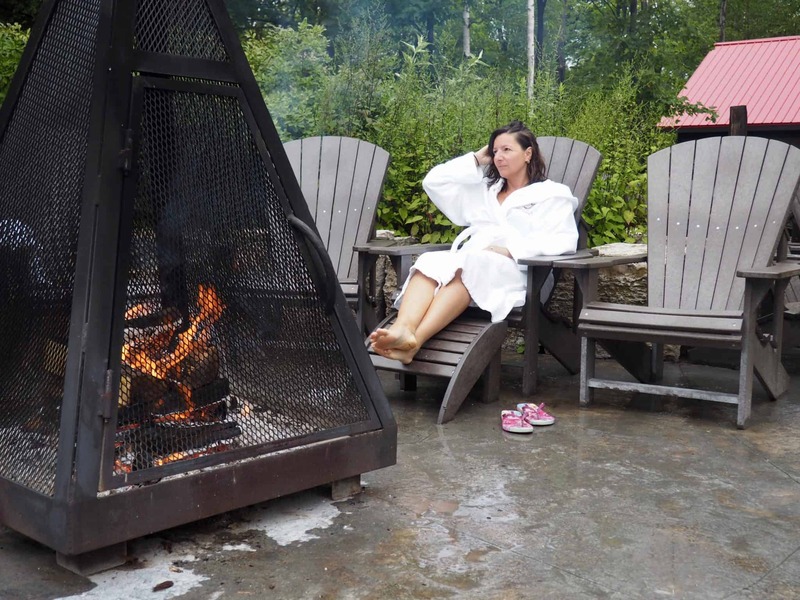 We wanted the perfect couples getaway to Scandinave Spa and Grey County. Our couples getaway began the moment we picked up our Mazda MX-5 convertible. What a better vehicle to drive than a two seater with no kids in tow. With less than 2 hours north of Toronto, the breathtakingly beautiful landscape of the Georgian Bay offers endless activities and expansive views to inspire all visitors. We love travelling but sometimes the best places are close to home. Ontario has so much to offer and we often forget about the beauty that surrounds us. 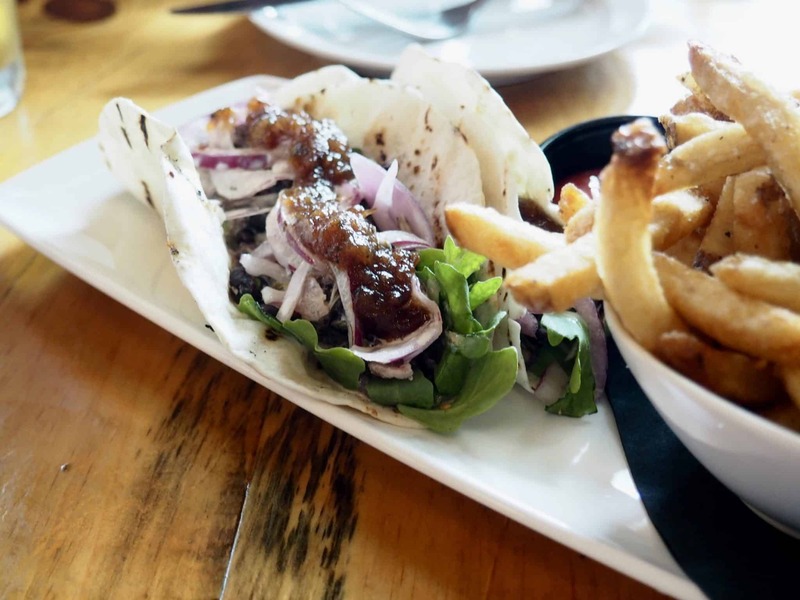 There are so many things to do and see in Grey County that it was difficult narrowing it down to just a few. 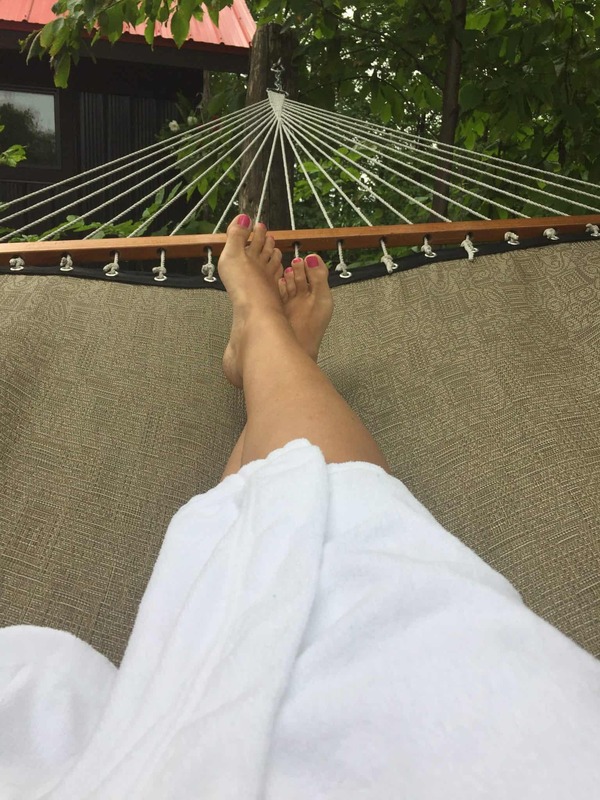 I have listed our stops in Grey County that made for the perfect couples getaway. 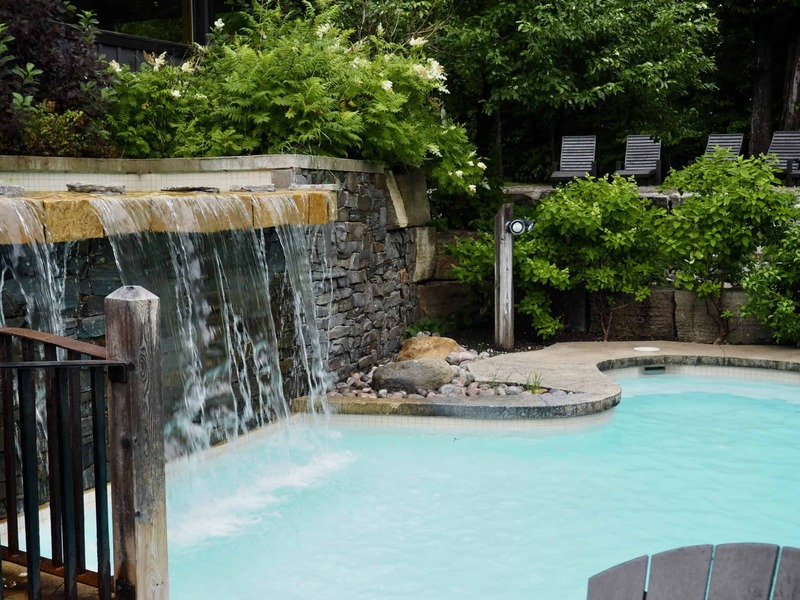 We love to visit the Scandinave Spa and usually visit one to two times per year in the winter months as nothing is more intriguing than being in your bathing suit outdoors in the winter. 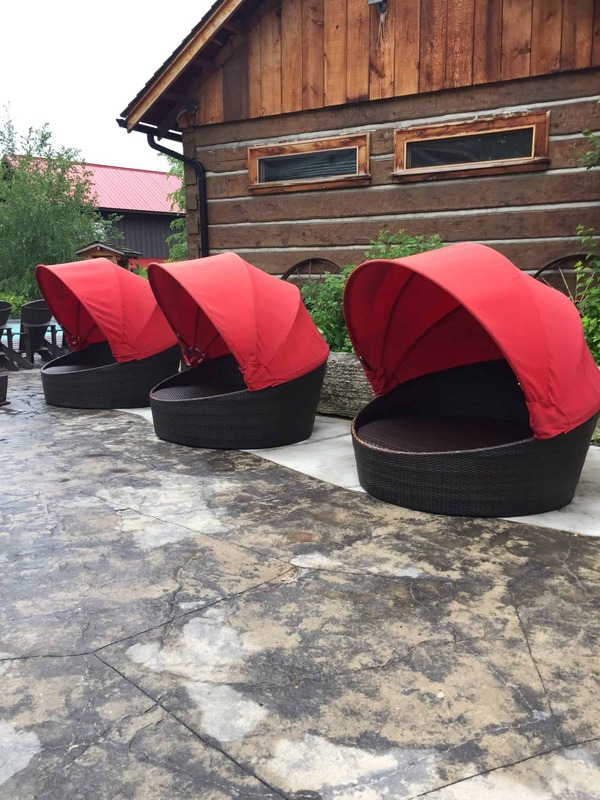 We decided to visit Scandinave Spa and experience the spa during the summer months. 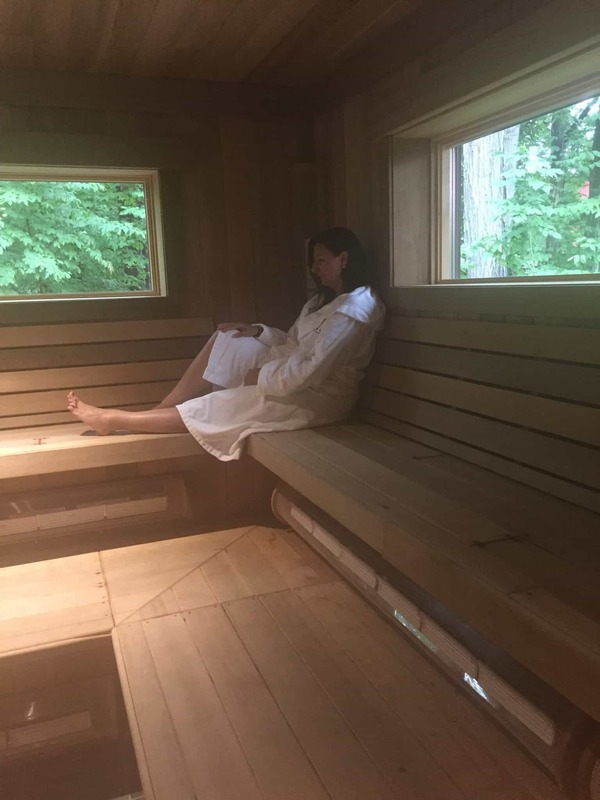 I was exited to learn that they recently opened their new infrared sauna and nature relaxing setting. I love infrared saunas and could not wait to experience this at the spa. We wanted to try something a little different on our visit. 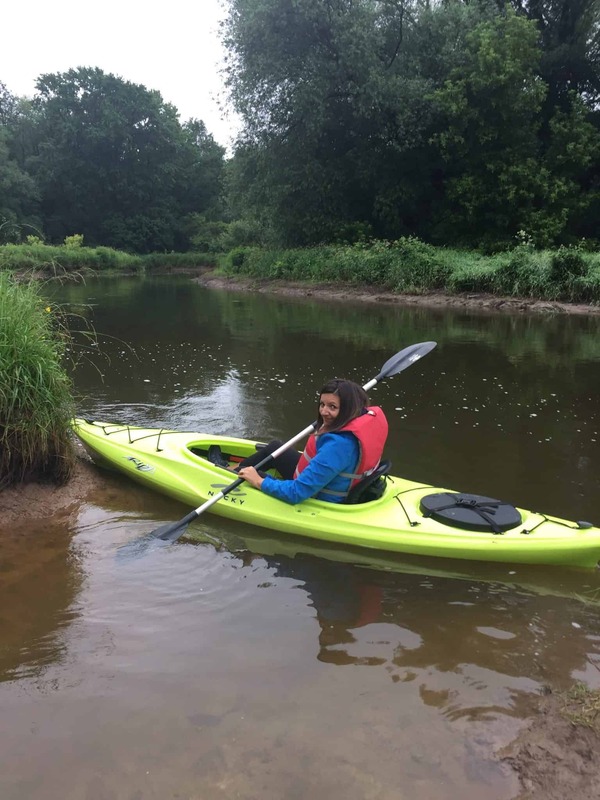 We always hear wonderful things about kayaking so we thought what a better way to experience it than to paddle the Beaver River. This was our first time kayaking so we didn’t really know what to expect. We were greeted by the friendly staff who got us all set up for our paddle. The Beaver River is great for beginner paddlers like us and for more experienced paddlers. We were taught some basic paddle strokes that would help us maneuver the kayak. Our kayaks were loaded on the truck and we were transported to the starting point of our paddle. The river was extremely calm and serene. It was very peaceful. The only thing you could hear is the water flowing and the birds chirping. It was absolutely beautiful and a must stop if you are in the area. Unfortunately we didn’t take a lot of photos as I was terrified of loosing my phone in the river. Bring a water resistant camera. Trust me, you will want to take pictures. 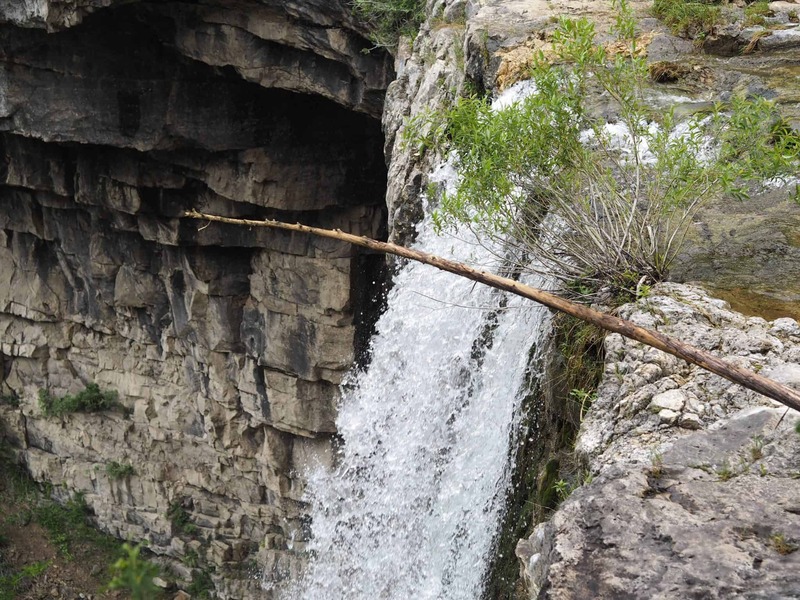 Grey County is home to 9 beautiful waterfalls, so it was hard to choose just one. We decided to visit Eugenia Falls that sits at the top of the Beaver Valley and Eugenia Falls tumbles a dramatic 30 meters to the valley below. 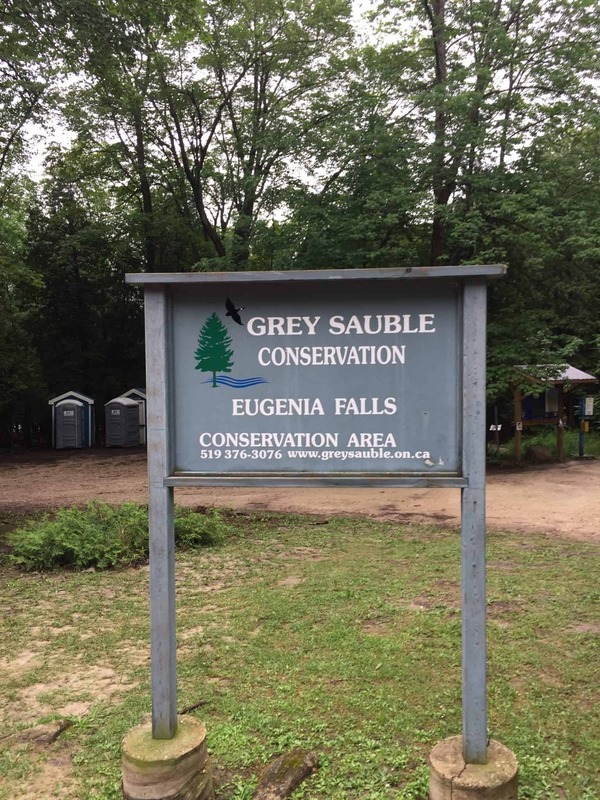 Eugenia Falls were first discovered in 1852 when prospectors were attracted to the area by rumours of gold, but it turned out to be “fools gold” Later it became the location of five mills and a small private electric plant and by 1905, was the chosen site of the second hydroelectric plant in Ontario. In 1915, Ontario Hydro moved the plant to the north and created Lake Eugenia, allowing more control over the water levels. 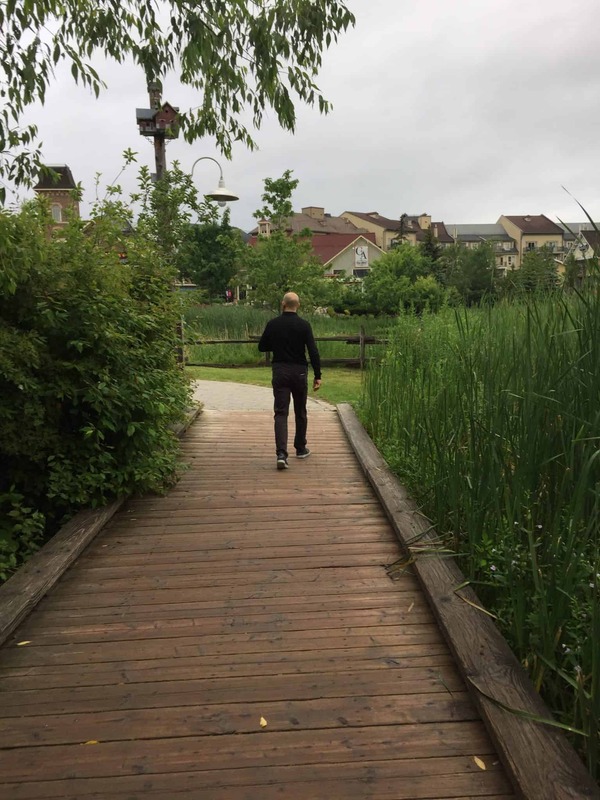 You will immediately feel relaxed when you walk the wooded path that leads you to the lodge like building that is the Scandinave Spa. 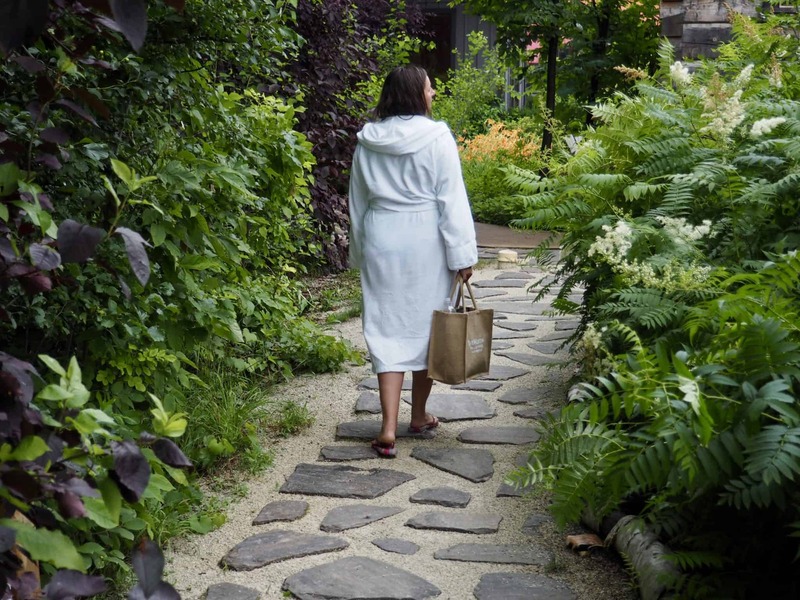 It is situated on 25 acres of natural Ontario birch, Canadian maple and pine trees, the Spa has expansive views of the UNESCO World Biosphere Reserve Niagara Escarpment. Get ready to turn off your phones and connect with nature. Once you enter the spa you will be greeted by the friendly staff that will explain all you need to know to have the most tranquil experience. There is a cozy bistro area where you can grab a tea before heading into the spa and return for a light meal during your visit. Spas, hot springs and bathhouses have been used for health purposes throughout history. The therapeutic use of water has been recorded in ancient Egyptian, Greek and Roman civilizations. Scandinavian baths and hydrotherapy are associated with many benefits, not to mention how relaxing they are. Hydrotherapy stimulates blood circulation and releases endorphins awakening the senses. You will find that your muscles will be soothed and have a general sensation of well-being. It’s important to keep hydrated during your Spa experience. 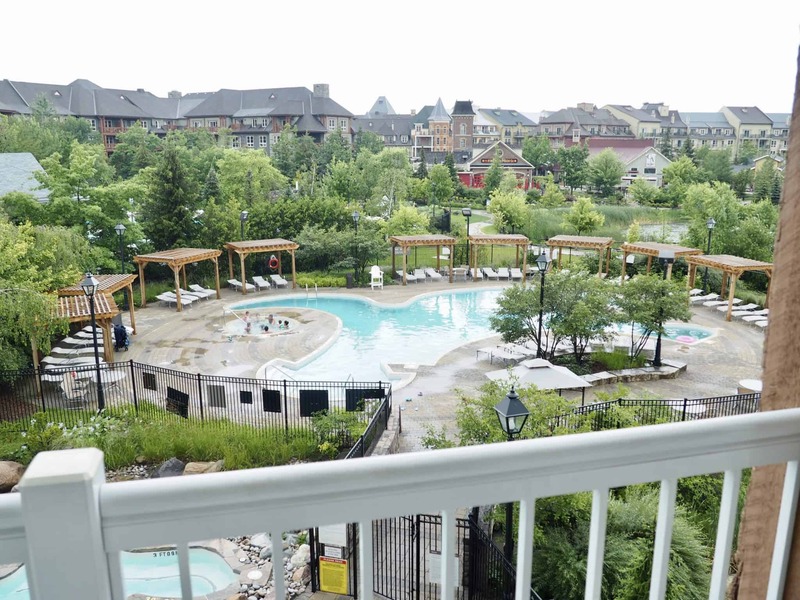 Water bottles are available for purchase, and fountains are located at various locations around the Spa. 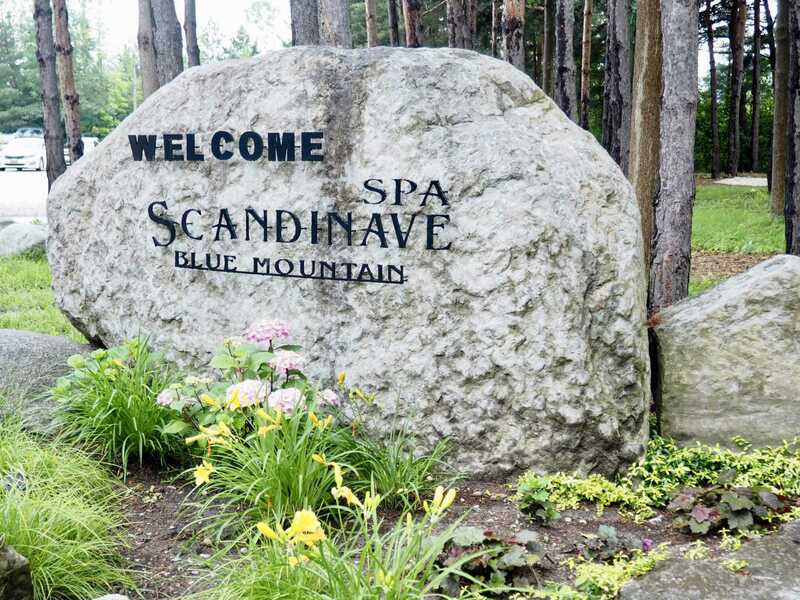 Guests are welcome to bring their own plastic or stainless steel water bottles with them for their visit to Scandinave Spa. BODY WARMING The first stage includes heating the body up which dilates the blood vessels on the surface of the skin, reduces blood pressure, and increases blood flow to the skin and muscles. The increase in body temperature causes considerable perspiration, which helps cleanse the skin and release the body’s negative energy. This is my favourite part. REFRESHING RINSE The second stage includes closing the pores of the skin with a brief, but, highly beneficial cool rinse. A dip in the cold plunge helps to release endorphins, and increase your heart rate. This stage is where you will receive the most benefit of the hot-cold-relax circuit. RELAXATION AREAS The final stage is designed to allow the cardiovascular system to regulate itself. After spending time in hot and cold environments, it is recommended to rest the body to help stabilize blood flow and heart rate. This is a time for body & mind rest. and relaxation. 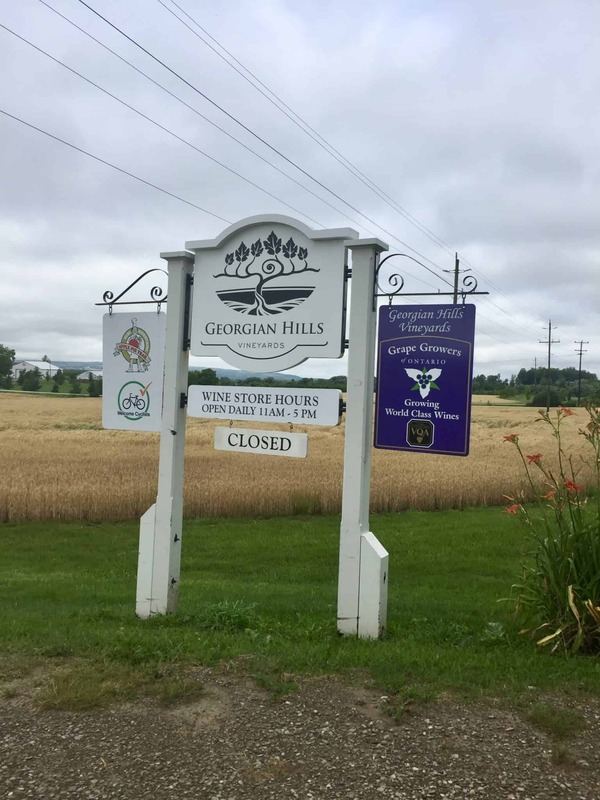 This was an unexpected stop for us as we didn’t know that there were wineries in Grey County. 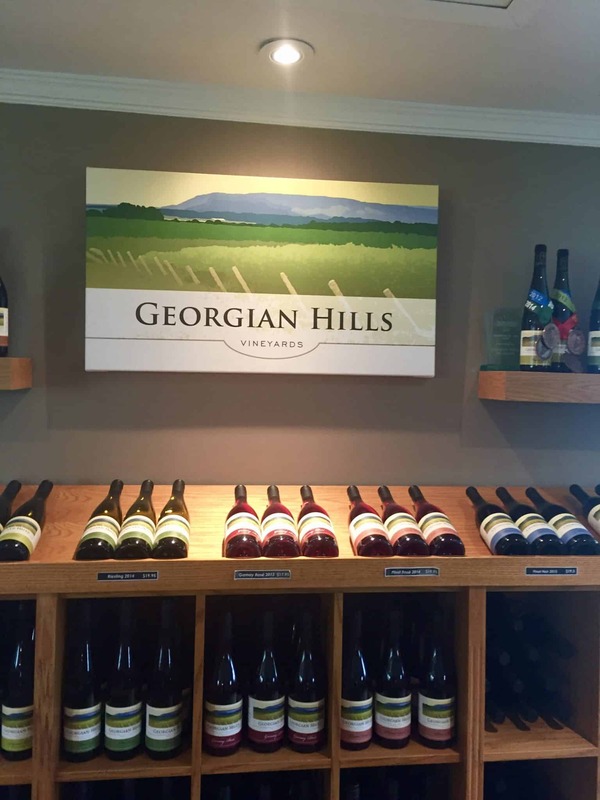 Nothing says couples getaway than a trip to a local winery. My husband and I frequently travel to different Ontario wineries so you can imagine our delight when we discovered this gem. This is a popular winery with the locals and I can see why. 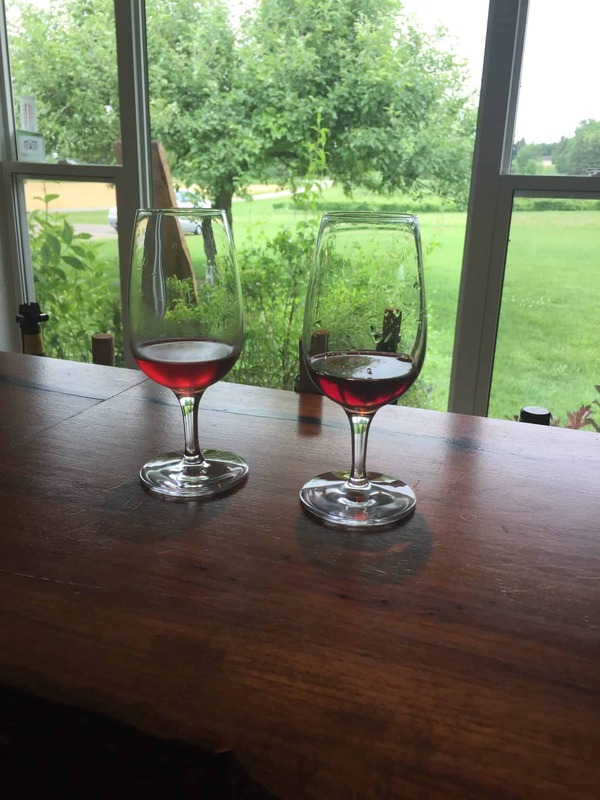 My husband enjoyed the reds and I decided to try the white and dessert wines. I found my new favourite dessert wine. 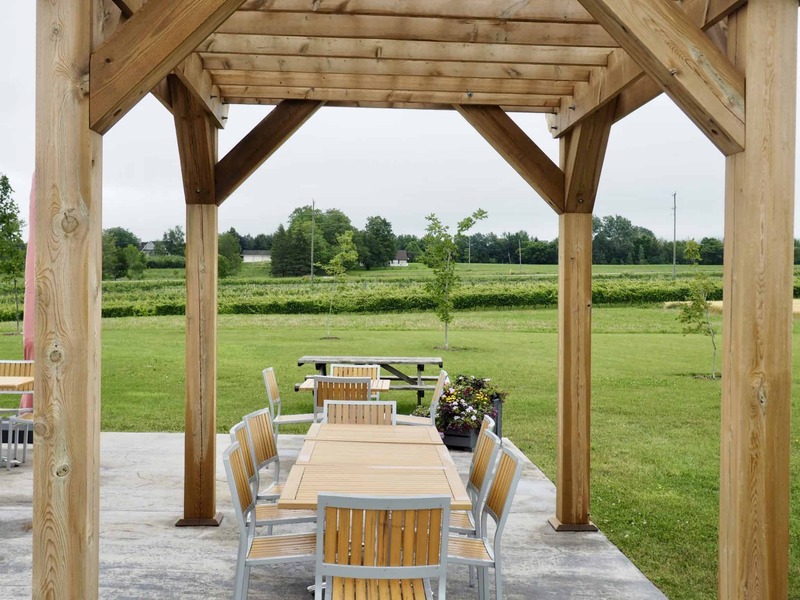 There is a great patio outback where you can sit and enjoy your wine and take in the wonderful view of the vineyards. 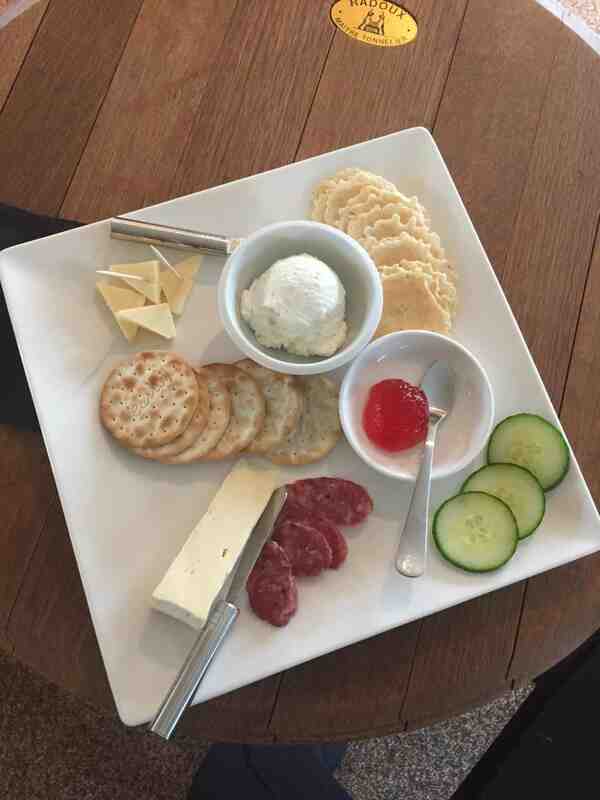 We sipped on our wine sampling and enjoyed the cheese & charcuterie plate. Each cheese was carefully selected and paired with a wine. I enjoyed all the winess from the tasting but my favourite was the Ida Red 2014 Frozen to the Core dessert wine. It’s an iced apple wine that has intense apple flavours with warm hints of spice and honey. 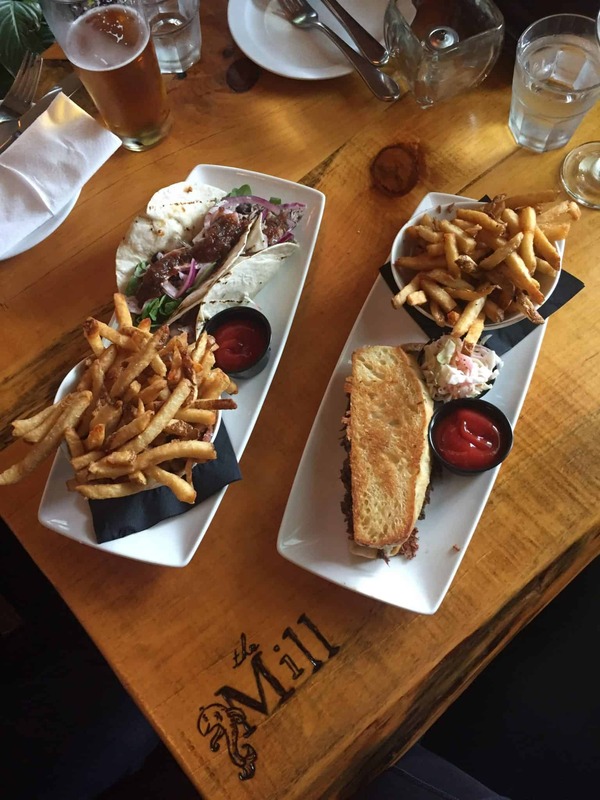 The Mill Café is casually elegant and full of charm and the perfect stop for a wonderful meal. 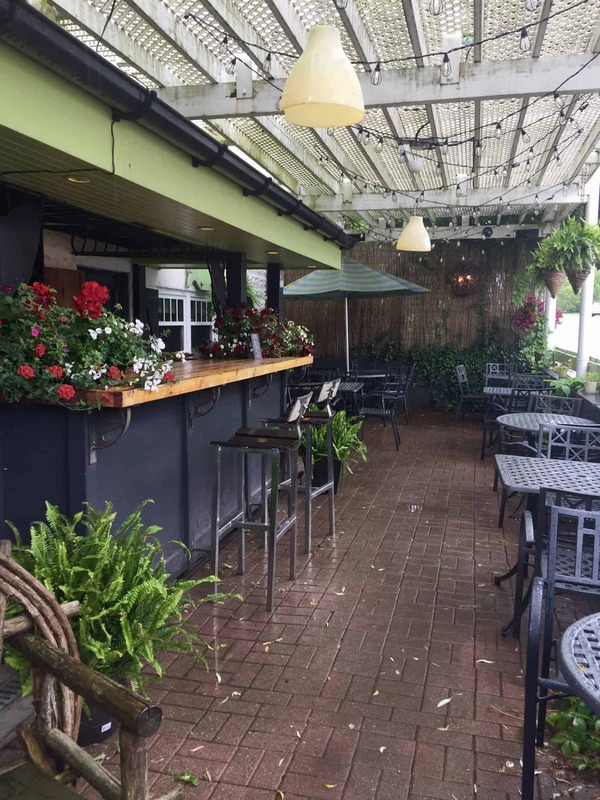 There is a wonderful outdoor bar area with a quaint pub atmosphere and a waterside patio that overlooks the Beaver River and the Thornbury Dam. The atmosphere of the cafe is very welcoming and is a popular lunch spot for locals. 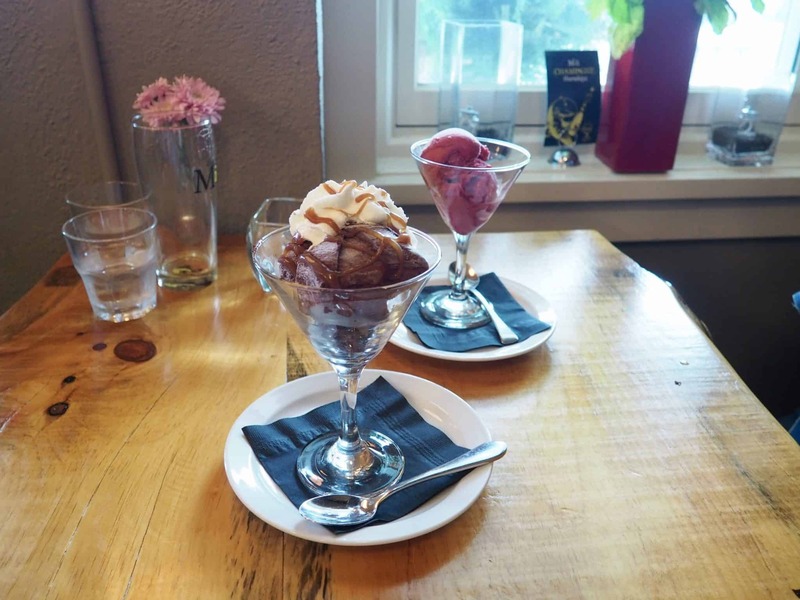 Tartuffo and Sorbet to end our meals. We decided to visit the Thornbury Village Cider House and Brewery after lunch to try some local cider. 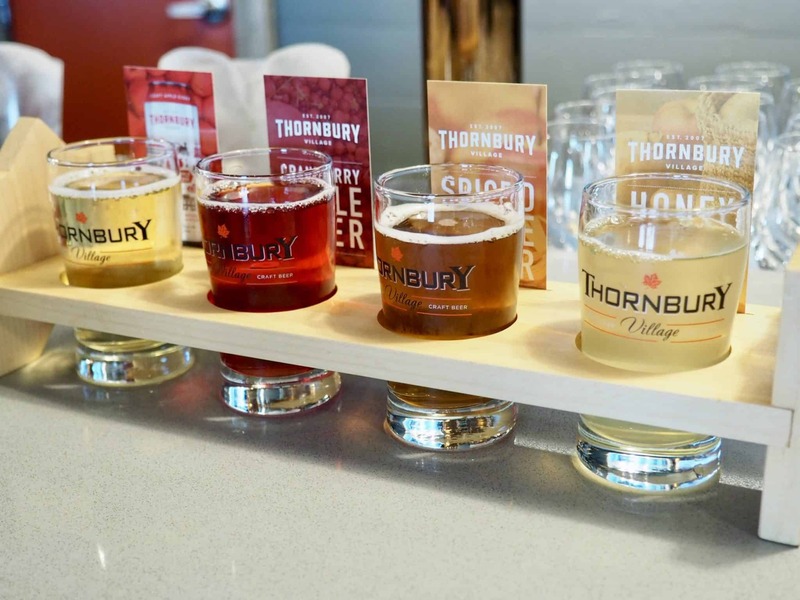 Thornbury Cider is the flagship product of Thornbury Village Cider House & Brewery. 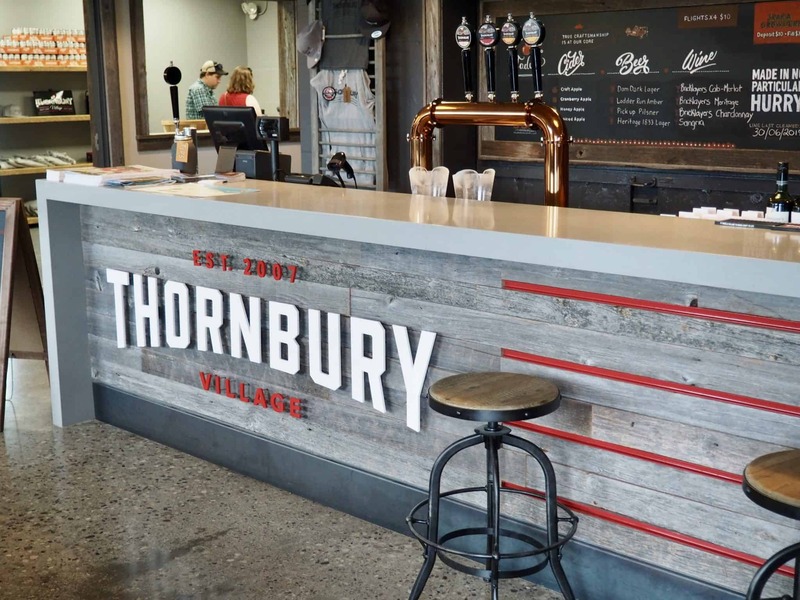 Thornbury Village Cider House & Brewery produces premium quality ciders using the finest apples that the orchards have to offer, creating a cider. The ciders are made with 100% fresh-pressed local apples (not from concentrate), this 5.3% ABV cider is cold filtered to maintain maximum flavour and aroma. Thornbury Premium Apple Cider is 100% gluten free. 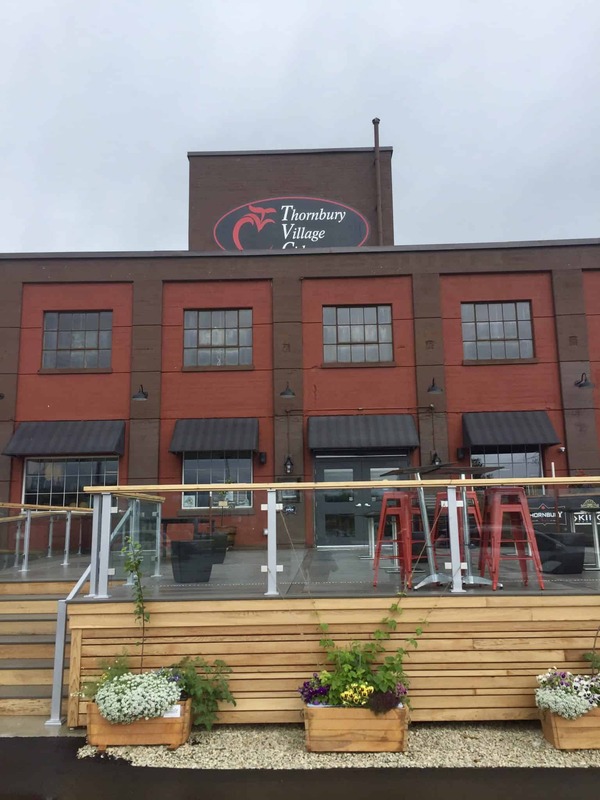 Thornbury Village Cider House is now open to the public. 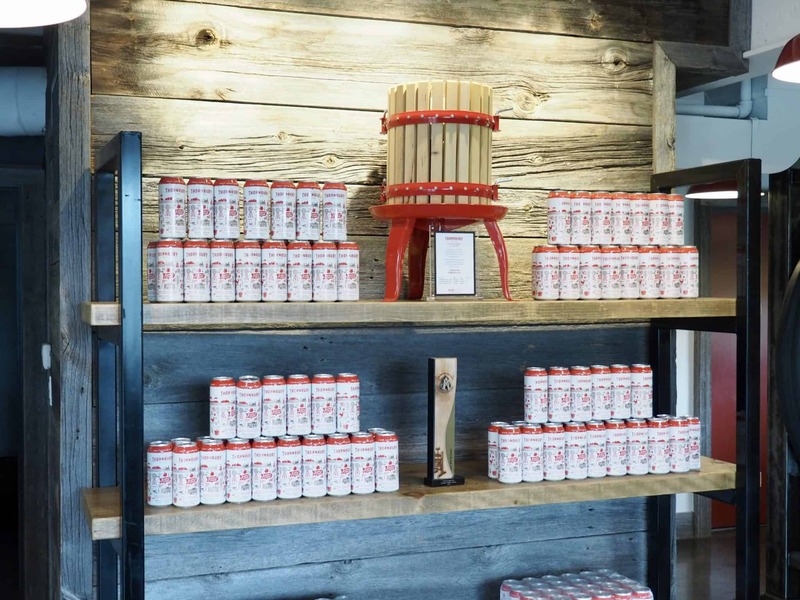 You will find authentic Premium Apple Cider on tap, and it’s available for sale in cans, bottles and growlers too. 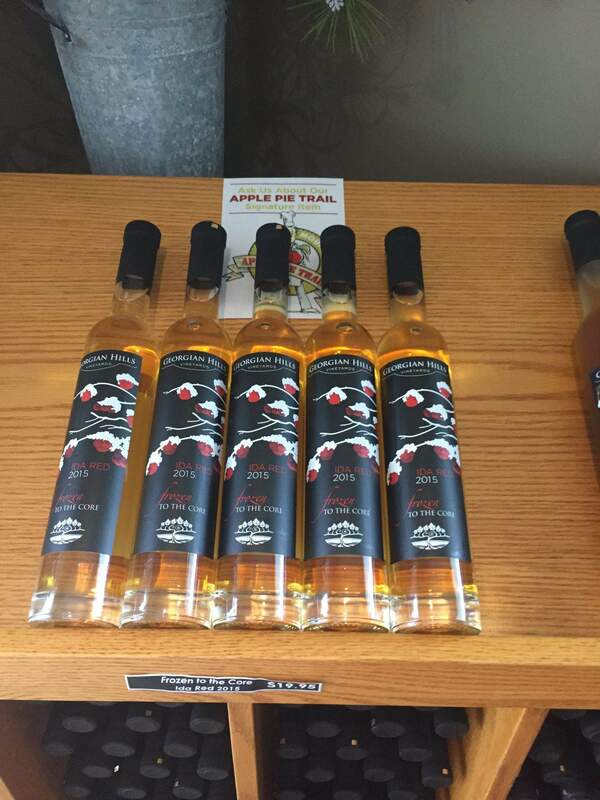 I was pleasantly surprised with the cider flavours such as cranberry, spiced apple pie and honey. The apple pie was my favourite. 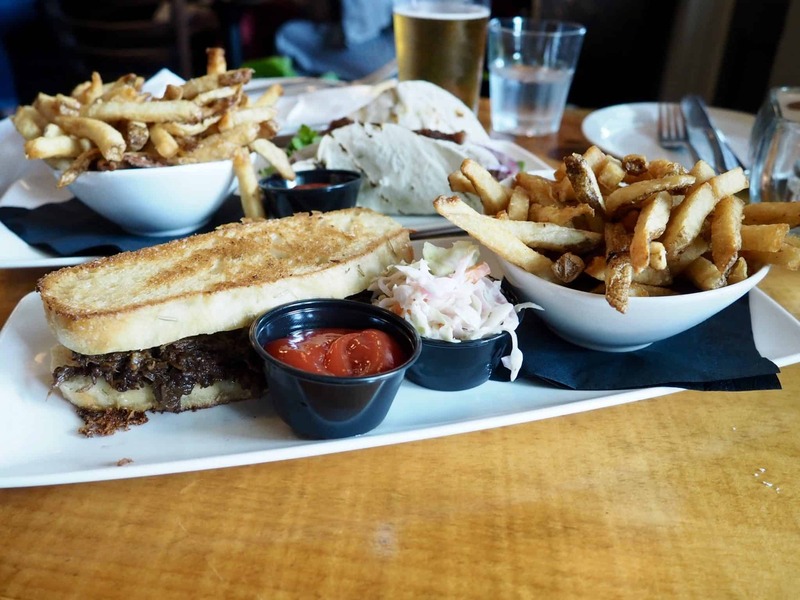 Lucky for us as this restaurant is located in the Westin Trillium House . 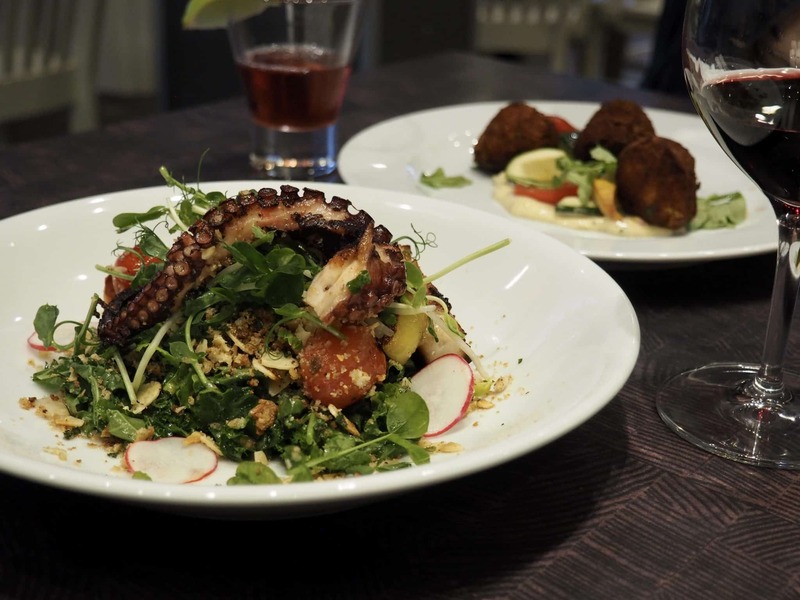 The restaurant is a chic, upscale eatery where you can savour Chef Jeremy Korten’s diverse menu items. The dining room has cozy tables seated by the fire in the winter and breezy pond-side terrace seating in the summer. 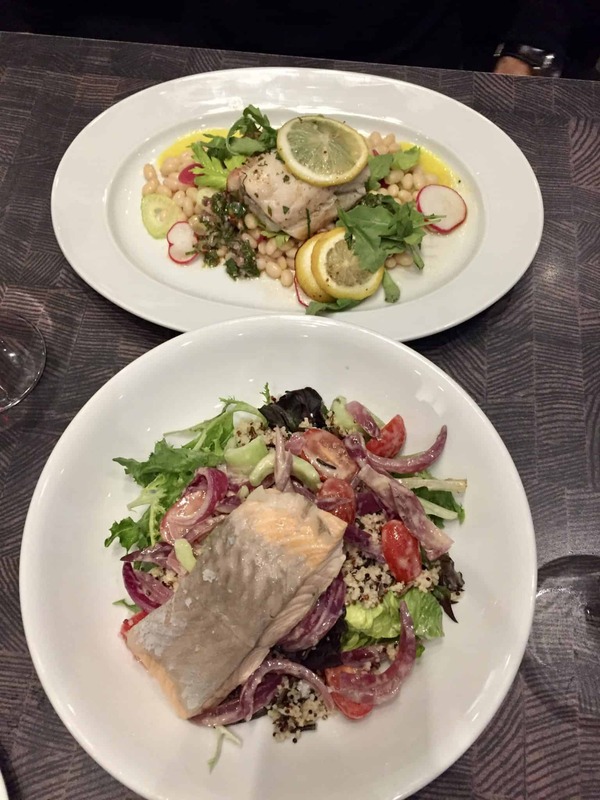 We started off with the fire-roasted octopus, followed by oven-roasted pickerel and roasted salmon. 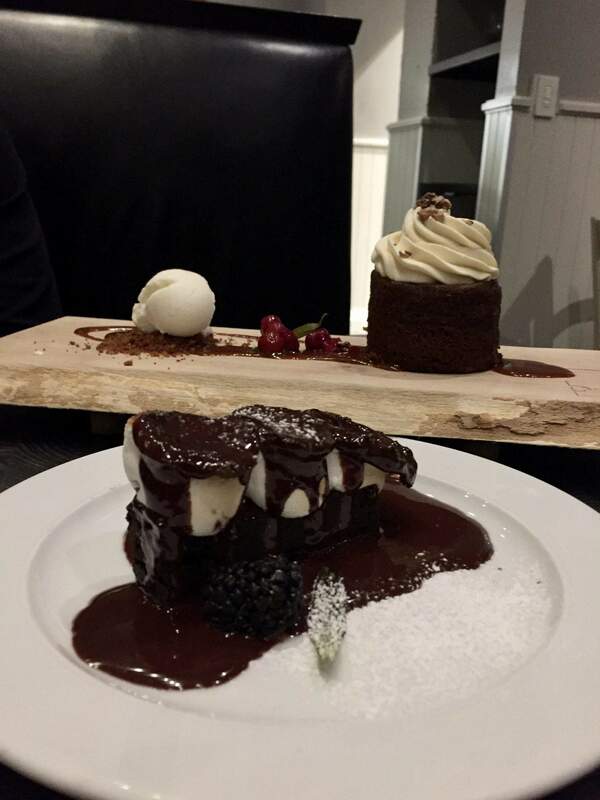 We made sure to leave room for dessert. Who can resist Oliver’s famous carrot cake and s’mores. Everything was delicious and the service was wonderful. We knew it was going to be a great stay once we pulled up the driveway and we were greeting by valet parking. Our vehicle was whisked away as we checked into our one-bedroom suite with a mountain and village view. 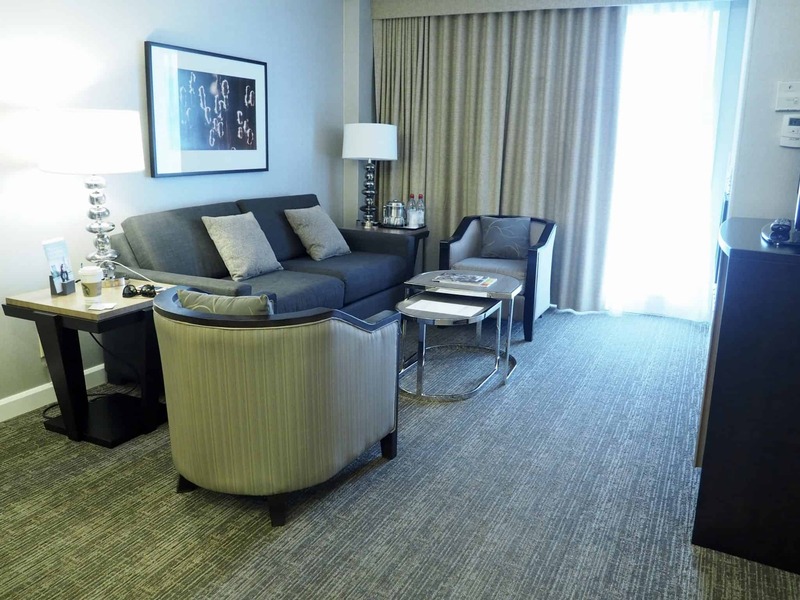 Our suite felt like home with the granite kitchenette and the spacious living room that was perfect to unwind in before calling it a night. 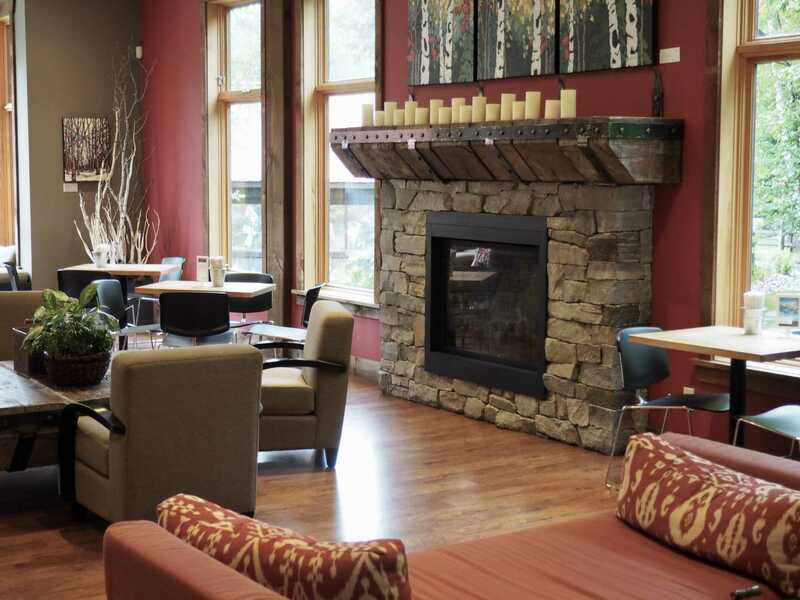 There is a gas fireplace in the room which would make the perfect place to sit and cozy up to in the winter months. We were exhausted at the end of the day and couldn’t wait to retreat to the queen-sized Heavenly® Bed where we immediately fell asleep. It felt like sleeping on a cloud. 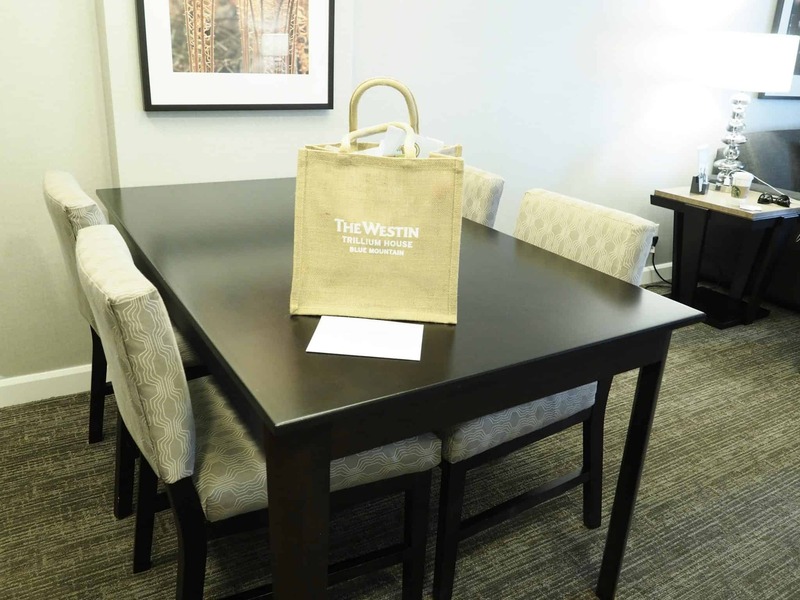 The hotel offers great amenities such as a 24-hour Westin WORKOUT® Fitness Studio, Westin® Kids Club, and Service Express, one number to dial on your in-room phone for luggage assistance, wake-up calls, 24-hour in-room dining and other services. 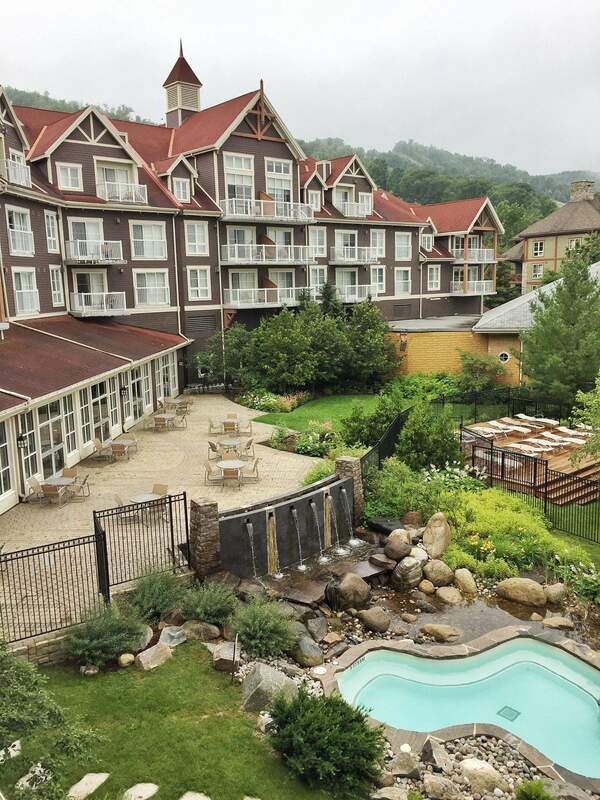 The Westin Blue Trillium House, Blue Mountain – set at the foot of Blue Mountain and steps away from The Village. Everything that you will ever need is steps away. Whether skiing or snowboarding in the winter or hitting the beach in the summer, you have come to the right place. 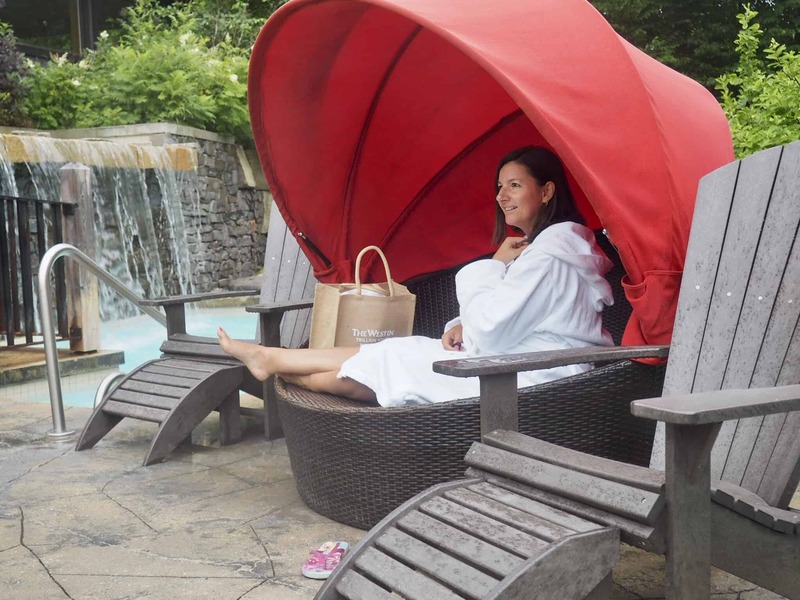 This was the perfect couples getaway to Scandinave Spa and Grey County. Nothing is better than getting away from the city and all the stresses of life to unwind in the most serene setting. You can leave everything behind and treat yourself to true relaxation. 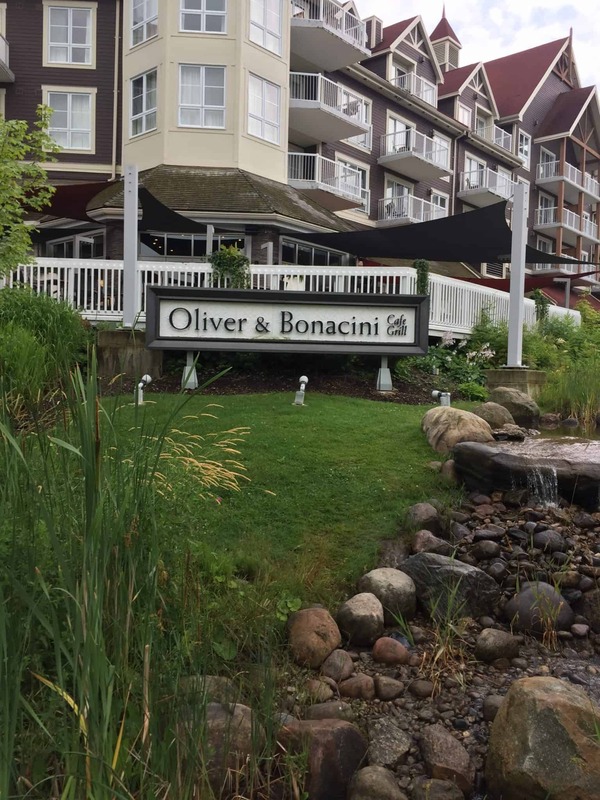 A huge thanks to Scandinave Spa and Grey County for hosting us and sponsoring this post. Thank you to Mazda Canada for the incredible ride.